Jewel Stile by Karishma Punjabi is an online business of beautiful and cost-efficient jewellery. 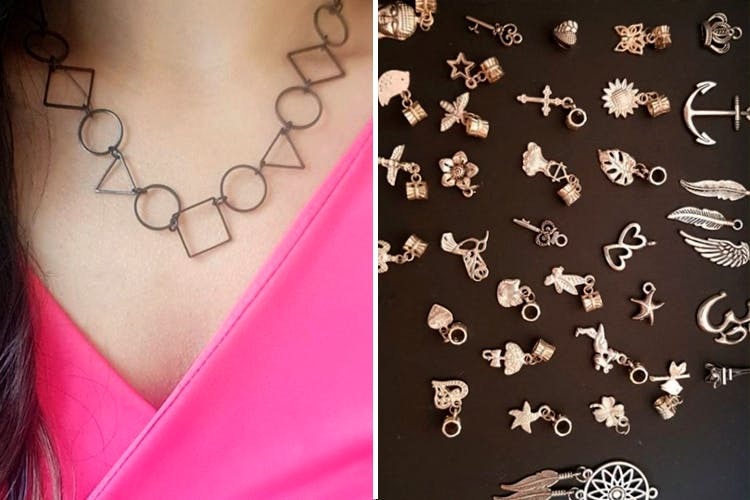 Jewel Stile is giving us major goals with its beautiful collection on Instagram and Facebook! Get those readymade or customised jhumkas or the oxidized jewellery you always wanted to wear for a wedding or simply on a day out with your girls. You also get rings, nose rings, hand cuffs and anklets suited to your needs. With earrings starting from INR 80 and nose rings from INR 30 only,it surely delivers the best quality at a reasonable price. Its product range normally fits under INR 350 only! Though heavy pieces may cost a little more, we’re sure that you’ll love what you receive on ordering from Jewel Stile. Loved their collection? Visit it’s Instagram page and it’s Facebook page for more details. You can call on +919156819435 for placing orders. Add to your collection of jewellery by getting some unique pieces from Jewel Stile!